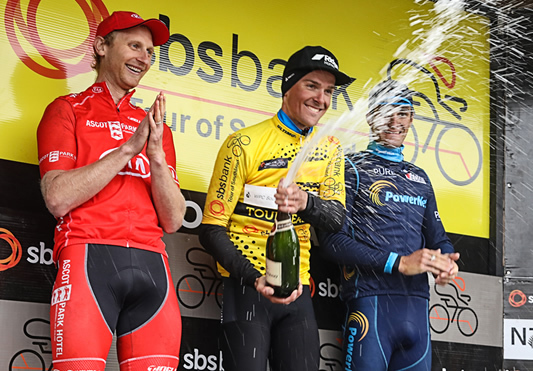 2018 SBS Bank Tour of Southland champion Michael Vink, centre, celebrates with runner-up Hamish Bond, left, and third-placed Sam Gaze. 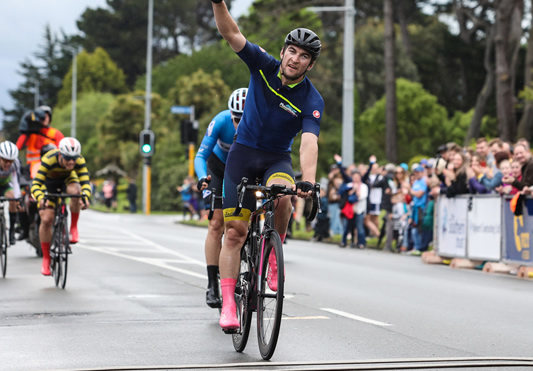 Dylan Kennett wins the final stage of the 2018 SBS Bank Tour of Southland. Results from the 7th stage of the SBS Tour of Southland. Results from the 8th stage of the SBS Tour of Southland.